I’ve always been a fan of science fiction, so when a new genre show comes on, I’ll always check it out. This comes partly from how there were very few sci-fi shows when I was growing up (at least not many good ones), and partly from the fact that I still mourn the loss of Firefly and don’t want to see another great show to die on the vine because no one was there to love it. But as I’ve watched the new shows, I’ve noticed a disturbing trend. There are too many good-looking people on television. Now this isn’t a diatribe about the unrealistic expectations of beauty that the media places on our youth. Nor is this a plea to see more “ugly” people on TV; I like watching attractive actors as much as the next person. No, what I’m saying is that there is a particular breed that has infected the airwaves which I shall call “The Underwear Model”. Case in point, the CW show, The Tomorrow People. This is ground zero for this kind of cookie cutter, fashion model casting. I think that I watched three or four shows before I could tell one character from another. I guess the same mutant gene that gives you superpowers also makes you look like you just stepped out of a Guess Jeans ad. This is further complicated by the fact that everyone in their world seems to dress in black, deep blue, or dark charcoal. Being the costumer on that show must be the most boring job in Hollywood. Contrast this with a show like Marvel’s Agents of Shield. Here every character is unique and well defined from the first five minutes on. You still have good-looking people, just not the same one over and over again. (Clark Gregg is rockin’ that suit. He’s America’s answer to James Bond, only with a better car.) It’s hard to care for characters when they all look the same. They can get killed off like the B1 Battle Droids from Phantom Menace and ten more will take their place. So what’s my point? I guess interesting characters are beautiful, but beautiful characters aren’t always interesting. And there’s more to a good acting performance than a pretty face. Because if the ratings for your sci-fi show depend on how often your male lead takes his shirt off, you’re just imitating William Shatner and it’s time to rethink your priorities. Also, the original Battlestar Galactica had the best theme music ever. I’m just putting that out there. ‹ I was forced to write my first rejection letter today. I think I nailed it. 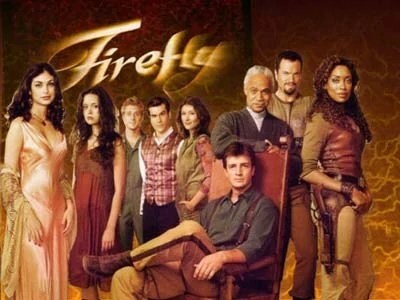 I too mourn the loss of Firefly. Is there anything out there at the moment that comes even close? Not much. Agents of SHIELD is great, but I sometimes feel like they’re playing in someone else’s sandbox. Maybe Supernatural on a good day.